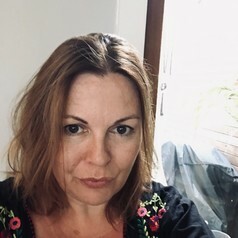 Kath Kenny is currently a doctoral candidate and Australian Postgraduate Award recipient at Macquarie University in the Department of Media, Music, Communication and Cultural Studies. She is researching feminist film and theatre in Australia in the early 1970s and writing a book on the history of the feminist slogan 'the personal is political' in Australia. She is also a writer and journalist, contributing essays, comment pieces, reviews and features to numerous publications, including Meanjin, Overland, Sydney Morning Herald, the ABC and Daily Review. She has contributed to many other books and journals, including Mediating Memory: Tracing the Limits of Memoir (Routledge Interdisciplinary Perspectives on Literature), DIY Feminism (Allen & Unwin) and #MeToo: Stories from the Australian Movement (Picador, forthcoming). She is a board member of the Sydney Writers’ Room and an associate member of the Centre for Media History.